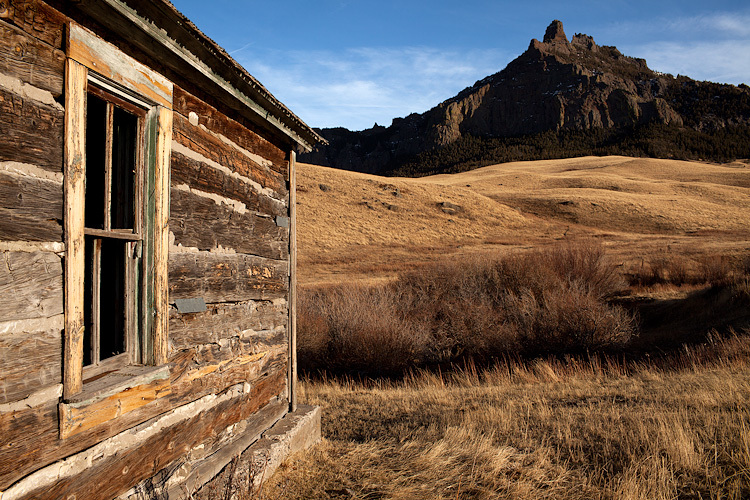 The light of sunset casts a warm glow on this abandoned homestead in Cascade County, Montana. 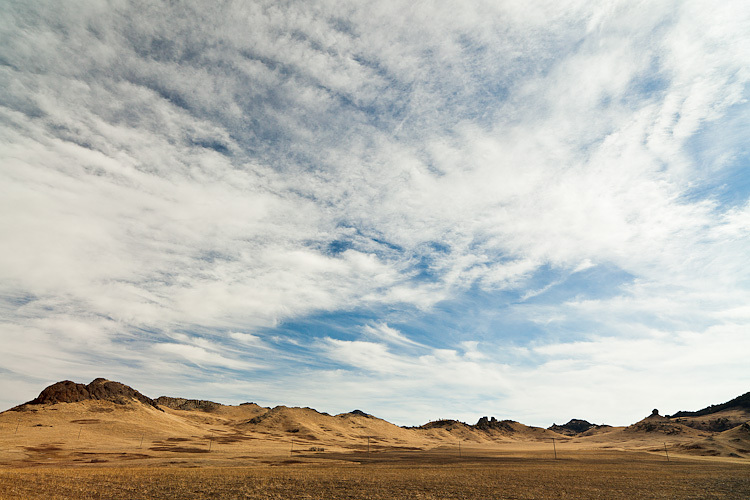 The sky dominates much of the Montana landscape on this warm spring day. 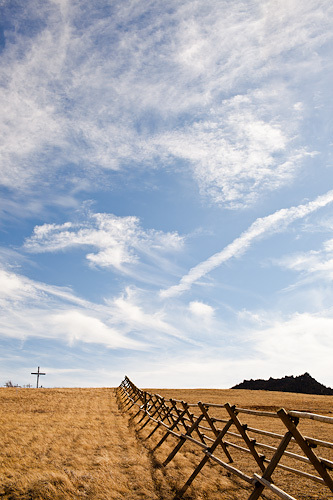 The sky and a white cross at the top of a hill in Central Montana brighten the day. 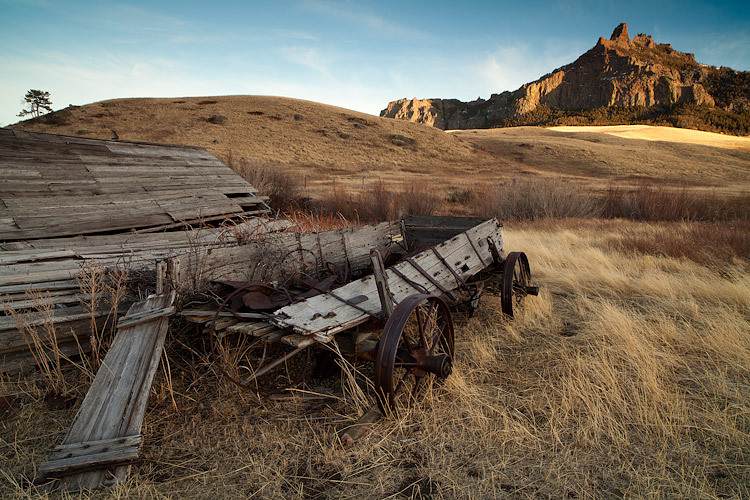 A turn-of-the-century decaying horse-drawn wagon with mountains in the background are seen in Central Montana. 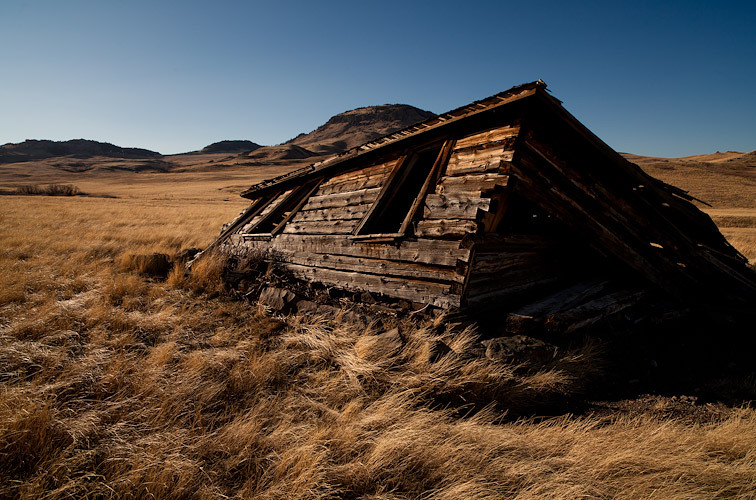 Gravity begins to win the battle against this early 20th century cabin in Central Montana. 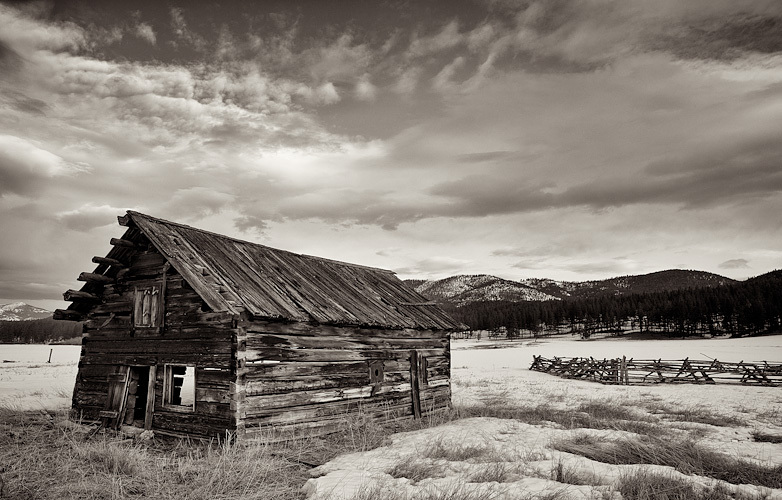 A cabin's old window frame looks out to the hills in Central Montana. 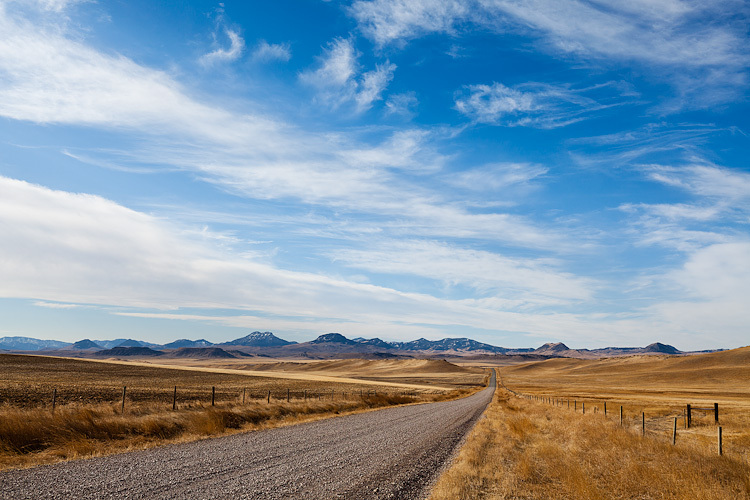 A gravel road wanders off into the distance in a remote part of Central Montana. A man sits in quiet contemplation in the evening near Crown Butte in Montana. 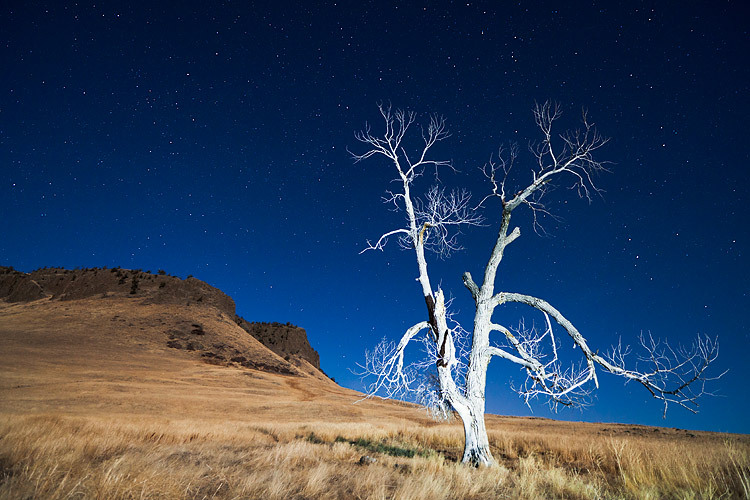 A lone arboreal sentinel keeps watch over Crown Butte in the cool Montana evening. 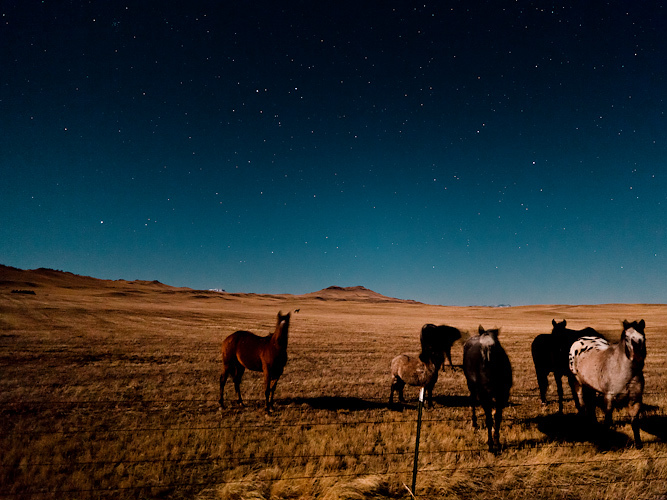 A group of horses gather near a barbed-wire fence under a full moon and stars in Central Montana. 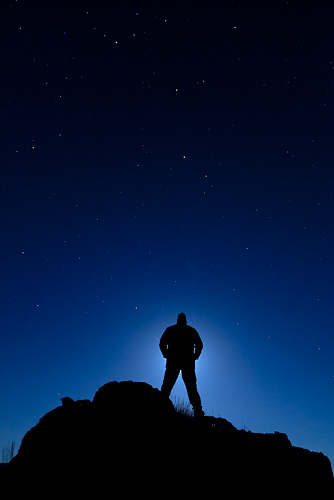 A man is silhouetted by a nearly-full moon in Central Montana. 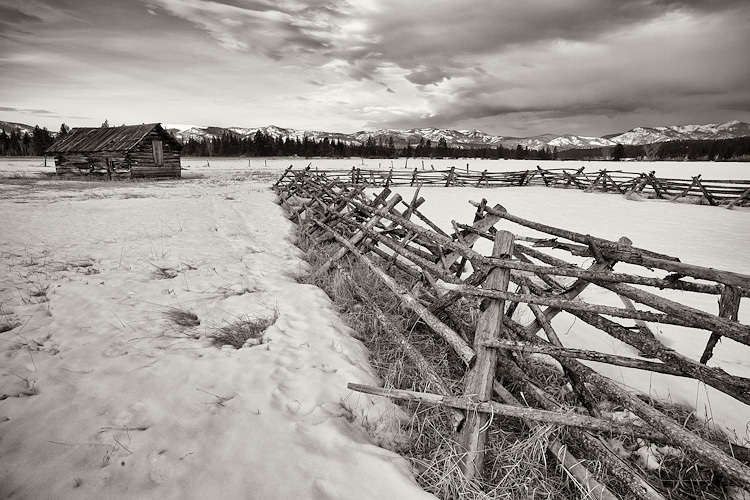 An abandoned farm site decorates the landscape in Central Montana. 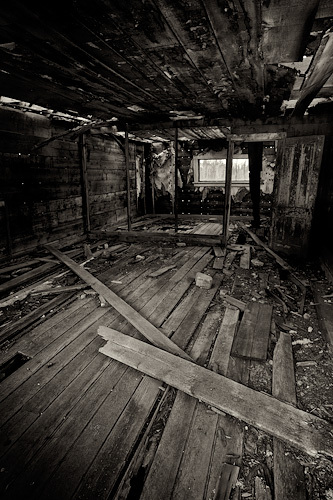 A decaying shop sits in quiet isolation within Central Montana. Structural integrity begins to fail inside this old building in Central Montana.